A club on the hunt for a new and authentic jersey partner, and a company looking to remain true to its roots while attempting to expand nationally – it is a match made in heaven for the Seattle Sounders and Zulily. 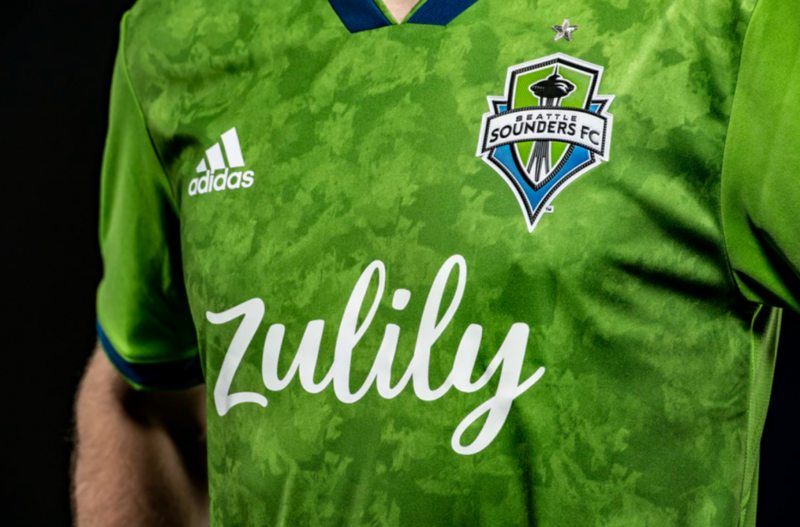 On Thursday, January 17, the powerhouse Major League Soccer club and the growing online retailer announced a multi-year sponsorship agreement, in which Zulily will replace Xbox as the Sounders’ kit partner. It is Seattle’s second jersey partner since its inaugural MLS season. Zulily will also become the presenting sponsor of the Seattle Reign FC, playing in the National Women’s Soccer League. This is the first time that the Seattle-based company is diving into the team sports sponsorship industry, and is viewing the partnership as a program to educate new and potential customers about the brand and what the organization represents. For Zulily, the Sounders and Reign are the ideal partners to help accomplish its goals. “Zulily believes partnering with Sounders FC and Reign FC provides a great opportunity to reinforce the company’s commitment to both the Seattle community and their hometown teams, while also introducing the brand to a local and national audience,” Kevin Saliba, Zulily’s Senior Vice President of Marketing, told The Sports Biz. The Sounders have been one of the MLS’s preeminent clubs since joining the MLS, never missing the playoffs in its nine years, making the finals twice and winning the MLS Cup in 2016, and drawing more than 40,000 fans in seven consecutive seasons. No other club has averaged more than 33,000 during the stretch. According to Forbes, Seattle is the third most valuable franchise at $310 million. The Zulily presence will reach consumers through a number of different channels. Its logo will be featured on both the primary and secondary kits, branding will be shown in-stadium during matches, special events are set to take place and the youth teams associated with the two professional clubs will also display the partner’s logo on their jerseys. For a company that grew one million customers in the third quarter of 2018, with 72% of its orders coming via mobile devices in that same timeframe, do not be surprised to see a focus on the digital experience from the launch of this partnership. While this collaboration is moving in many interesting directions, Saliba and Zulily are ensuring the focus remains on the root of this partnership – Seattle. Ultimately, Zulily intends to expose itself and its city to the masses, stay genuine to its hometown and local residents, and of course root for its new partners.